I always want to use my design skills to contribute to the greater good in my community, and when I came across the Design for Good L.A. (DfGLA) event hosted by AIGA, I had to sign up! Design for Good L.A. was a 24 hours design blitz. 5 teams of professional creatives collaborated to develop start-to-finish solutions for local nonprofits over the course of 24 hours. 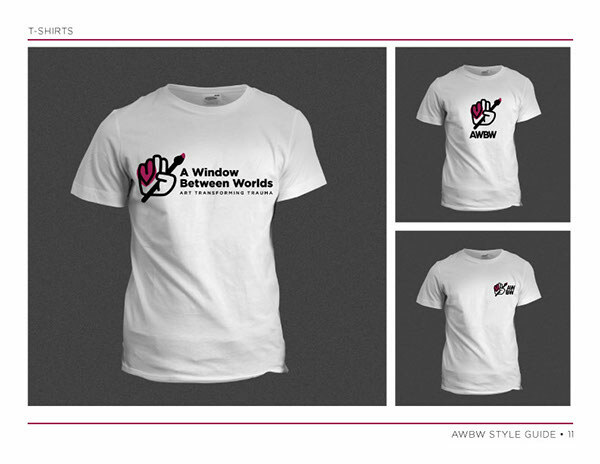 I had the opportunity to work with 3 talented designers for the non-profit organization, A Window Between Worlds. 24 hour countdown begins… NOW! 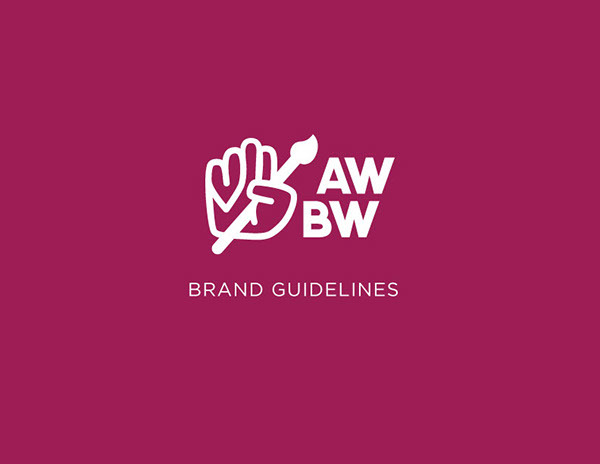 The team and I spent the first hour with the AWBW representative to understand the creative brief and discuss what they were looking for from this design blitz. 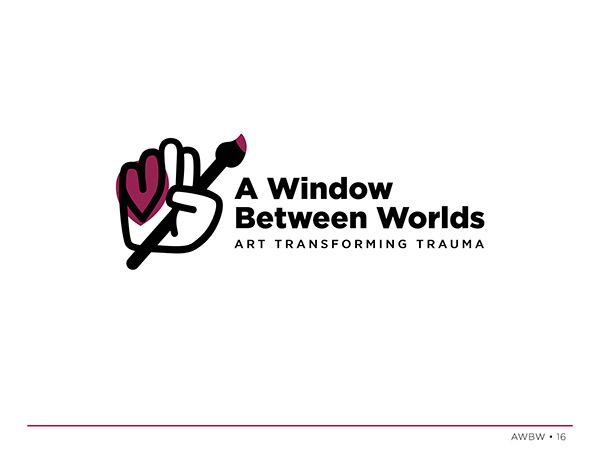 A Window Between Worlds (AWBW) is a nonprofit organization dedicated to using art as a healing tool to transform individuals and communities impacted by violence and trauma. Since their founding in 1991, A Window Between Worlds’ arts programming has provided the creation of art as a tool for empowerment and healing to over 200,000 adults and children. AWBW recently worked with Taproot Foundation to help redefine who they are as an organization. They created a new mission statement, target audience and a new tagline. 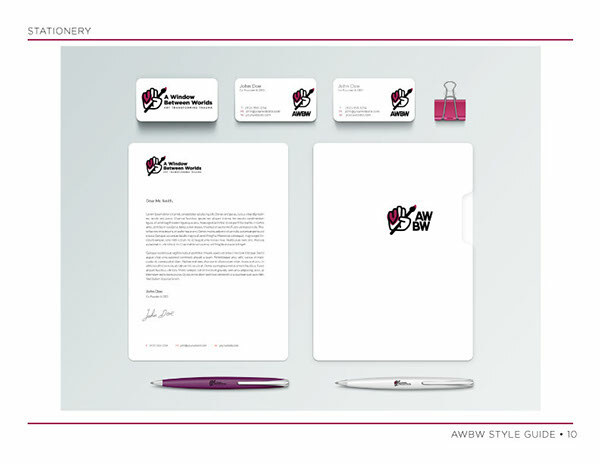 Now they needed a new logo and branding style guide to guide their internal marketing team. The biggest challenge was AWBW has expanded their audience now - including sexual assault survivors, veterans and their families, the LGBTQIA community, marginalized communities, survivors of child abuse, the incarcerated, homeless and men, women and children of all ages, races, ethnicities and sexual identities. Where should we even start? 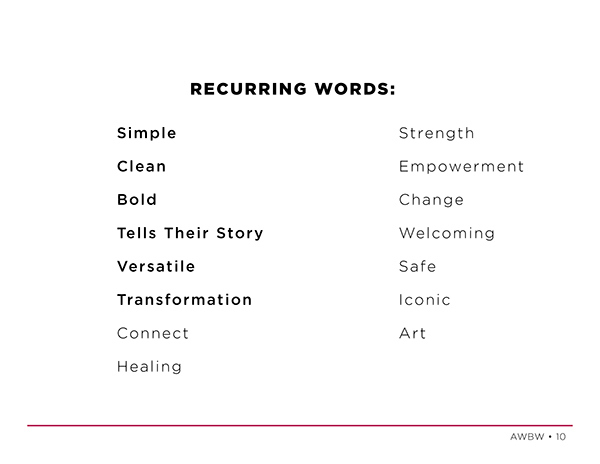 Through our team discussions, we decided to shift our focus to the core values of AWBW and the thread of keywords during our initial discussion with AWBW: clean, bold, versatile, simple, colorful, and transformative. 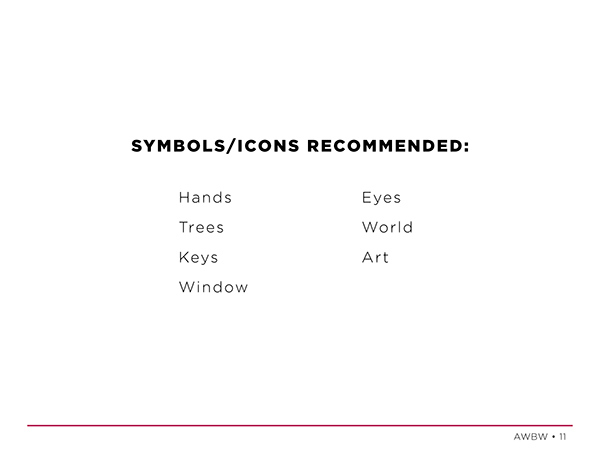 AWBW also mentioned several symbols that had important meaning to their organization: hands, eyes, trees, keys, windows and art. 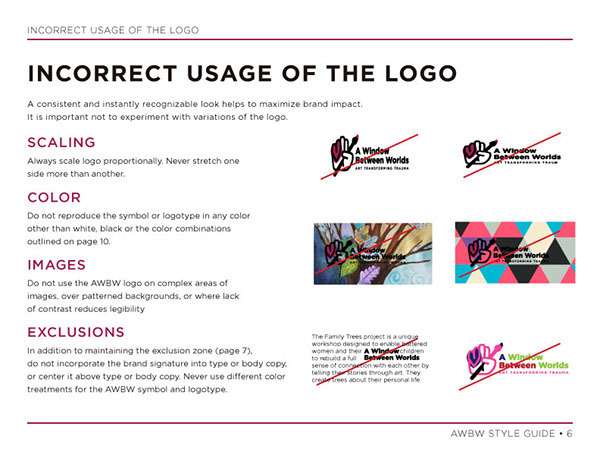 Even though AWBW has expanded their audience, our team found that no matter the differences, everyone who comes to AWBW share a few things in common. 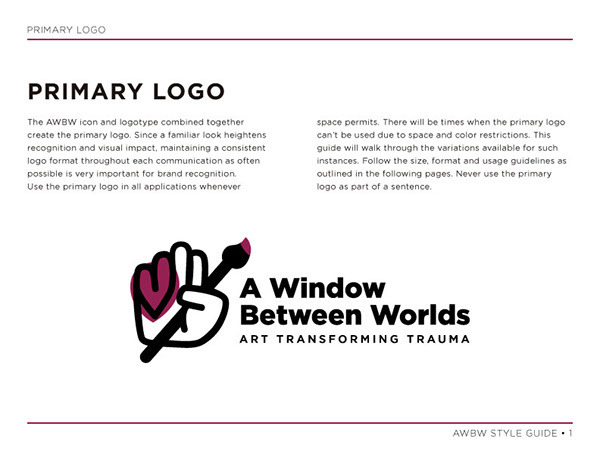 All are (or know) survivors of traumatic events, have discovered and believe in the healing benefits of art, and share some form of AWBW's core values. 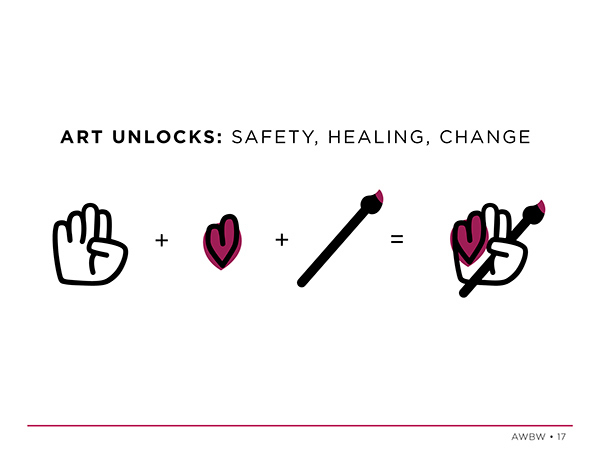 We drilled down to what was most important to the brand and came up with these 3 pillars, "Art Unlocks: Safety, Healing, and Change." 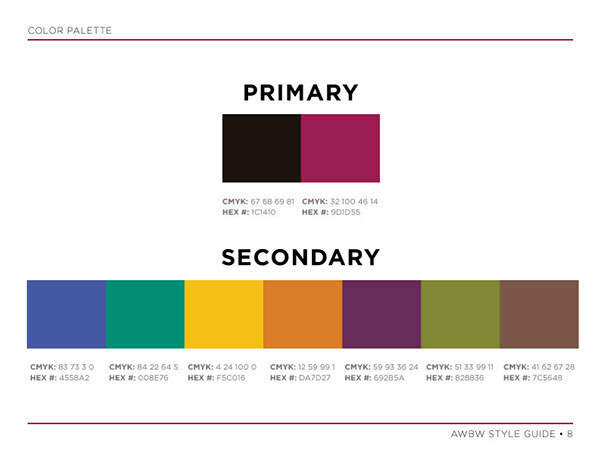 Our team also researched on competitors/ the non-profit space, and color palettes that would resonate with AWBW’s various art programs. 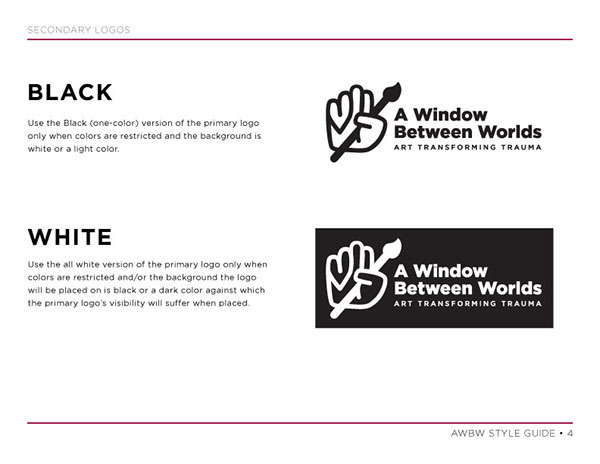 Inspired by the 3 pillars, we started sketching and worked on different versions of the logo. What also helped was doing mini presentations among other teams to get feedback from a fresh perspective. Our team hard at work! Brainstorming logo designs after our group discussion. 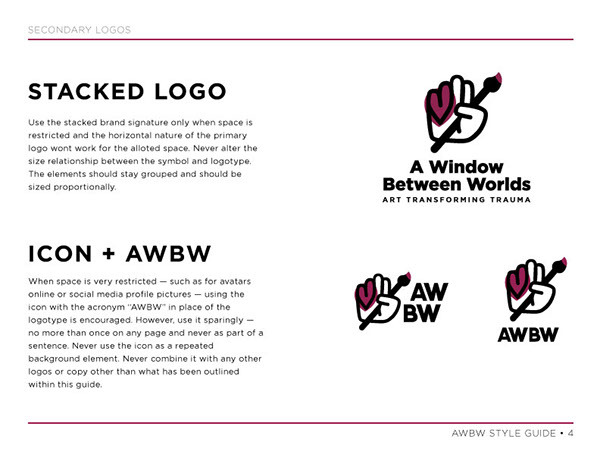 We unveiled the new logo and style guide to AWBW at the AIGA DfGLA wrap-up event, along with other design teams and representatives from their non-profits. We also got to meet Audrey Salzberg, COO of AWBW, who was so excited to see the work we had done. This whole experience was so inspiring for me. Not only did I had a chance to impact a local nonprofit organization, but I got to collaborate and learn from amazing designers of different expertise. Most importantly, I learned how much we can accomplish within a 24 hour window if we communicate efficiently, dive deep into the issues and ask core questions early on.